Having attended the first (and, I think, only) Wavecom “developer day” back in 2007, and the first Sierra Wireless Developer Days last year, I was very much looking forward to this year’s event. The event consisted of a private “Experts Day” with invited customers & distributors, followed by a public Developer Day with open registration. At the Experts Day we were able to have some open & frank discussions with Sierra Wireless staff about our experiences with their products & services. In particular, many of the guests (myself included) had been involved in alpha trials with Legato; so there was a good deal of feedback regarding that experience – with many of the Sierra Wireless Legato team members. We were also treated to some sneak previews of Sierra Wireless’s future intentions for Legato & associated tools and services – and I was glad to be reassured that Open-AT is not slated to be discontinued any time soon. After the end of the Experts Day, we joined the prelude to the Developer Day – a dinner at the 56th floor restaurant in the Montparnasse Tower, “The Top Of Paris”. We had a great time, with stunning views over Paris as the sun set. The Developer Day had about 140 attendees representing customers, partners, network operators, etc; plus Sierra Wireless staff. That was about twice last year’s figure! The morning consisted of presentations from Sierra Wireless, Wind River, and the Eclipse Foundation M2M. Legato was Sierra Wireless’s topic du jour – and we witnessed the public opening of the Git Hub repository! During breaks between sessions, and over lunch, there were about a dozen demonstrations from customers, partners (including some from the Experts Day) and Sierra Wireless showcasing various products & services. This was a great opportunity to network, nibble, and see stuff in action. The afternoon divided into two “tracks”: one “technical” and the other “business”. In some ways it was a shame to have to choose one or the other – but I guess otherwise it wouldn’t be possible to fit everything into just one day! 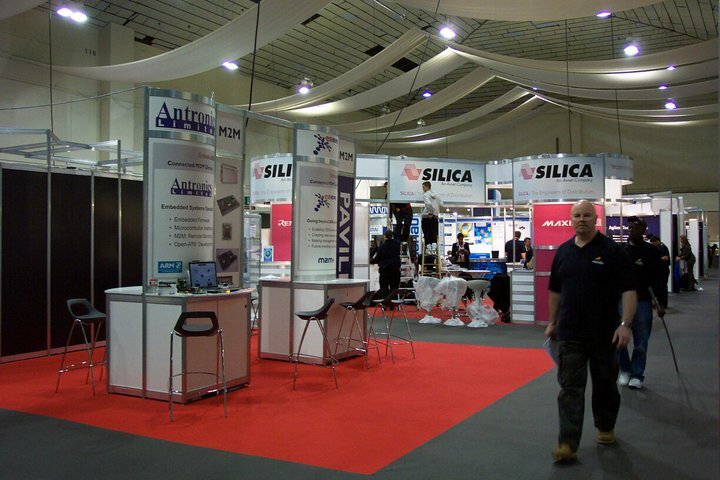 All in all, it was a great event – certainly looking forward to next year! Presentations from the Developer Day are available in the Developer Zone on th Sierra Wireless site. 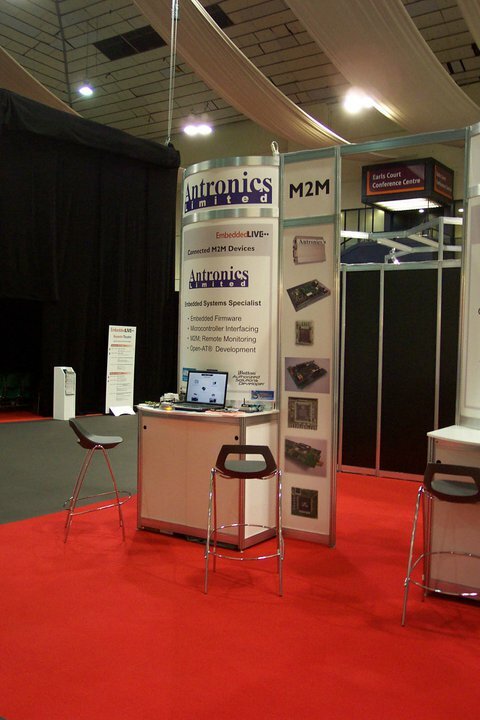 I had visited the Embedded Systems Show (as it then was) at the NEC in Birmingham for many years. Attendances had been dwindling of late and, last year, it moved to FIVE in Farnborough (home of the famous Airshow). 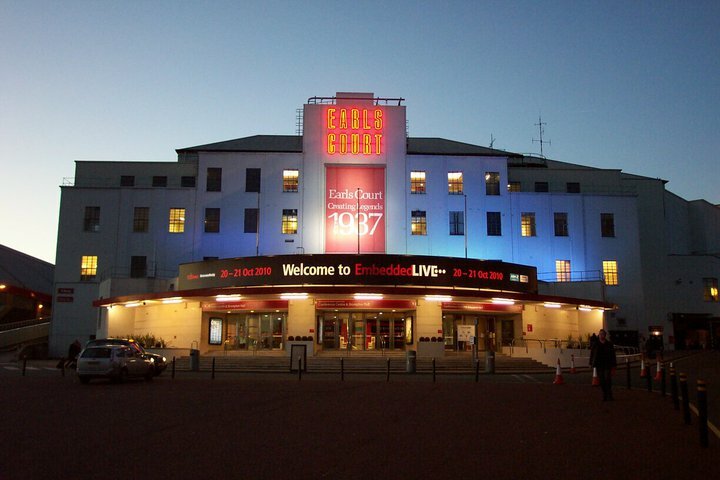 This year, the show was under new ownership, rebranded as Embedded Live, and at a new venue – Earl’s Court in London. This was our first time exhibiting at a show like this and, I must say, it was a fairly painless experience – thanks to the guys (and gals) at UBM. 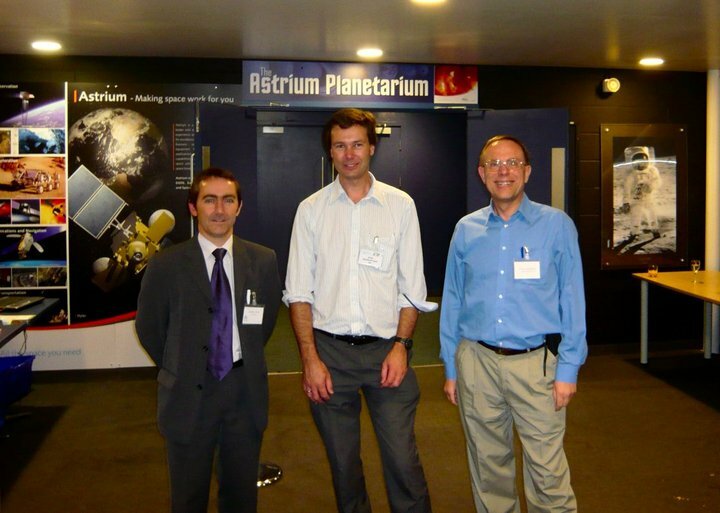 We had a reasonable stream of visitors – it was good to meet some old friends, and to make some new contacts. Special thanks to ARM for providing free drinks on the Wednesday night! Wired Wessex, a local advice, news, support and networking group, held a meeting at the INTECH Science Centre near Winchester on 30 September 2010. 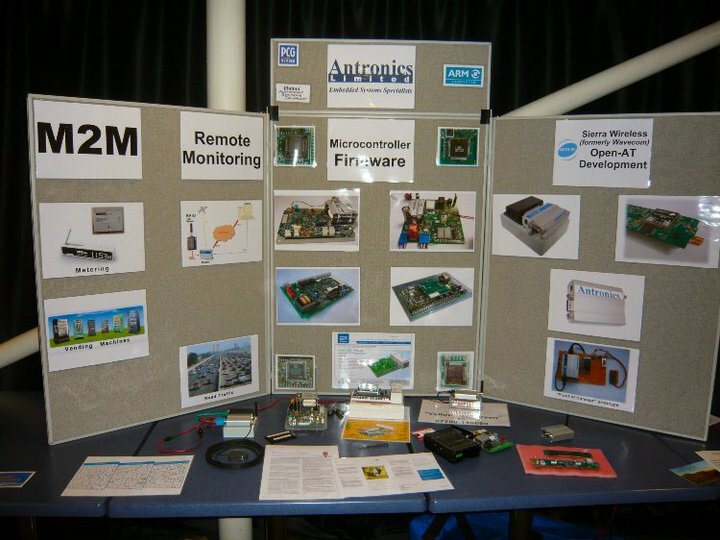 IBM’s work, of course, does this on a corporate scale; but Andy illustrated his talk with his own “home-made” gadgets controlling and monitoring things in his own house – like the fountain in his pond, and his mousetraps! It was a very interesting, entertaining, informative and thought-provoking presentation. I would certainly recommend this to anyone considering such an opportunity.